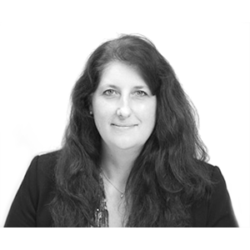 Lucy Lilley is a chartered surveyor and independent non-executive director based in Jersey with over 25 years’ experience in real estate. She serves as a non-executive director for a number of real estate companies and funds and is an experienced Chair of quarterly and ad hoc board and committee meetings. Before becoming an independent non-executive director, Lucy Lilley was Director and Fund Manager of Schroder Real Estate Managers (Jersey) Limited between 2010 and 2015 and a Portfolio Manager with Land Securities in London between 1999 and 2010. Lucy Lilley has a background in commercial real estate asset management, portfolio management and fund management. She has experience in long term investment, development and refurbishment of real estate assets including student accommodation, shopping centres, shopping parks, central London and regional offices, retail portfolios, industrial / warehousing, mixed use portfolios and residential development. Lucy Lilley holds a BSc (Hons) degree in real estate valuation and estate management and the Investment Property Forum real estate investment diploma from Cambridge International Land Institute. She is also a Member of the Royal Institution of Chartered Surveyors; the Investment Property Forum; the Jersey Funds Association; Revo (the British Council of Shopping Centres) and IoD.